JMA has been shortlisted for the Housing Excellence Awards. The practice has been shortlisted for a national housing award for its creative eco-refurbishment designs at Alder Green scheme for Golden Gates Housing Trust. It is one of eight schemes in line to win the Best Regeneration Scheme category of the Housing Excellence Awards. 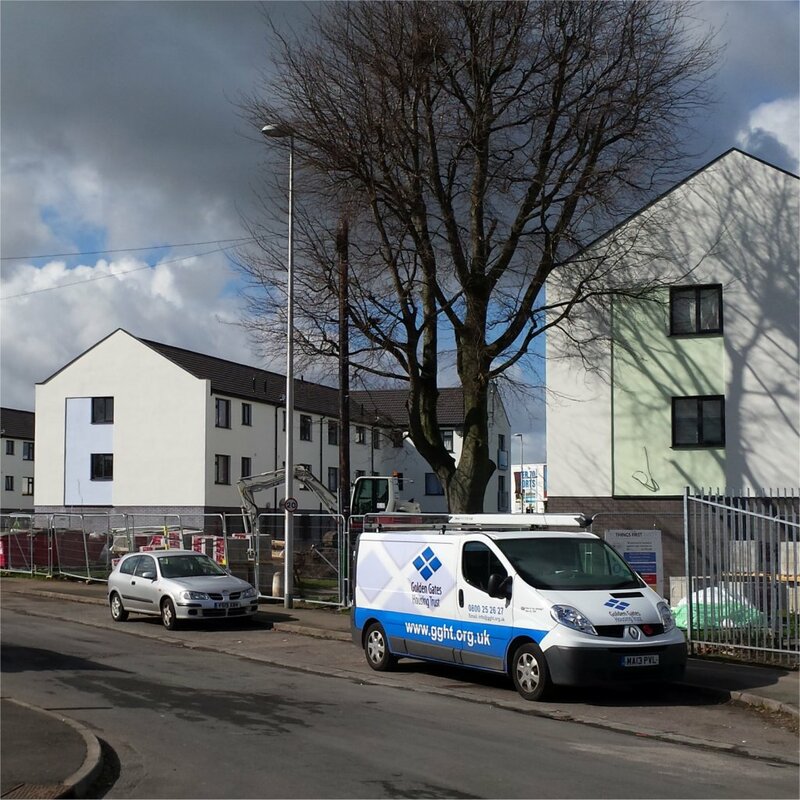 Contractor Willmott Dixon used our designs to revitalise five housing blocks lining a major gateway into Warrington town centre. Individually coloured insulated facades were created to give each block its own visual identify to reinvigorate the street scene and give residents ownership. 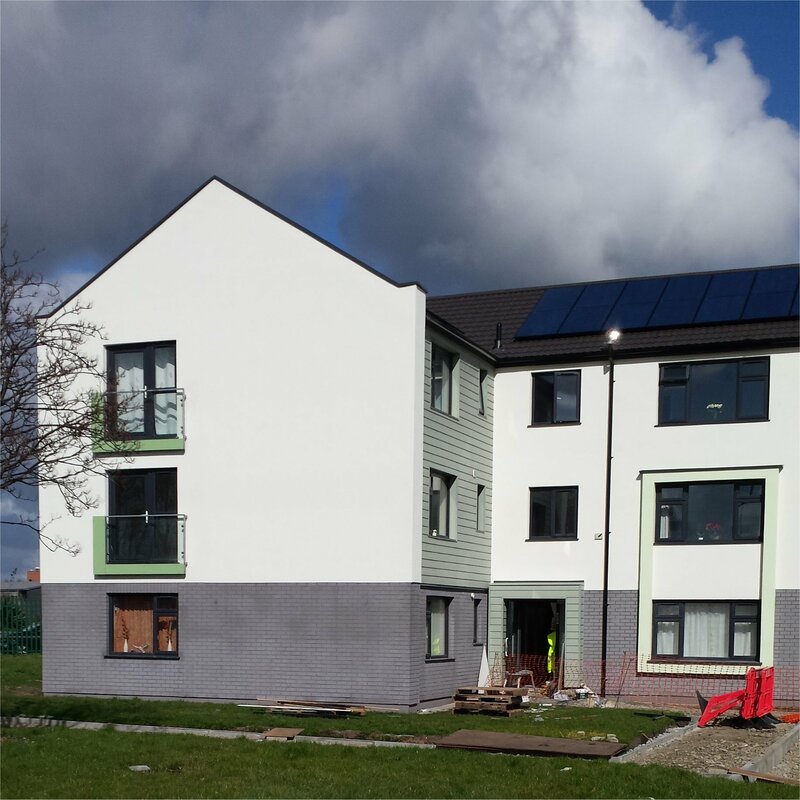 External wall insulation, photovoltaic panels, new heating and ventilation systems and air tightness measures were introduced to help reduce fuel poverty among tenants and protect the environment. PV panels will generate enough electricity to potentially save tenants between £100 and £150-a-year while a Voltage Optimization device will reduce the voltage supplied to homes, providing a further £50-a-year saving. James Nicholls at John McCall Architects said: “The scheme, designed to give five housing blocks their own personality, has made a huge impression lining a major gateway into Warrington town centre. 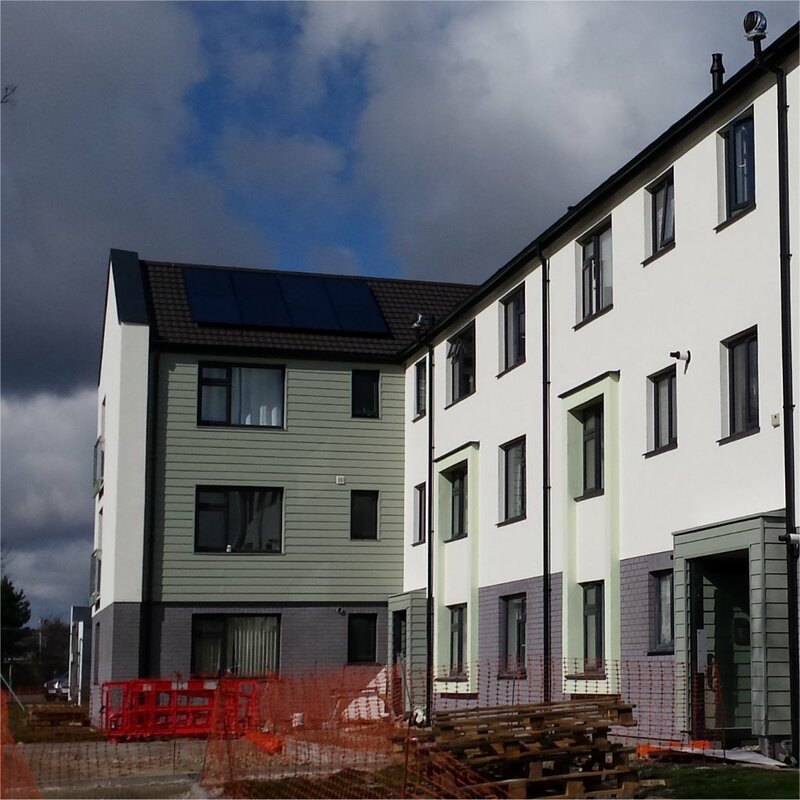 “In addition to the kerb appeal for the wider community, we thoughtfully incorporated a range of sustainable measures to drastically reduce tenants fuel bills without sacrificing any of the buildings’ aesthetic appeal.